Specialist cancer survivorship: the changing face of palliative care? By 2020 50% of the UK population will have been diagnosed with some form of cancer in their lifetime. At the same time, cancer patients are living longer—over 50% of those diagnosed with cancer currently survive for 10 or more years. There are at present 2.5 million “survivors” living in the UK, and this is projected to rise to 4 million by 2030. However, prolonged survival often comes with increased morbidity. Clinicians have traditionally focused on binary measures such as survival outcomes, and have somewhat neglected iatrogenic symptoms and quality of life. In many cases, cancer has become a chronic condition, with new constellations of symptoms emerging with novel treatments including immunotherapies. An almost distinct sub-specialty addressing the sequelae of immunotherapy is evolving, and requires collaboration and dedicated multidisciplinary input. The legacy of increasingly successful treatments includes frailty, failure to thrive, and pain, with patients often requiring long-term monitoring, including monitoring their use of opioids. Cancer survivorship, also termed “living with and after cancer,” addresses the quality of life agenda. It does not currently sit within any particular physicians’ domain and is generally considered to be the responsibility of the whole healthcare team. A risk of it being “everybody’s business” is that it becomes nobody’s business. We propose that cancer survivorship should be considered integral to the cancer pathway. We suggest that management of these issues sits well within the remit of palliative care, while acknowledging that many colleagues in the specialty do not agree with this position, as they feel that we should focus exclusively on end of life care. Some palliative care services though, are embracing the survivorship agenda by extending their enhanced supportive care input to patients likely to have longer prognoses. It is evident that early collaboration between oncology and palliative care is likely to benefit patients by addressing quality of life issues and reducing interventions. With advances in treatment and increased survival, prognostication becomes less accurate and outcomes are less certain. We must therefore not allow ourselves to be accused of cherry-picking. Shouldn’t we therefore be focusing on symptom burden, irrespective of perceived prognosis? Cancer survivorship programmes are not universally available, with patchy access to a suite of rehabilitative services. Beacons of good practice exist, but there is currently little uniformity in survivorship services. Cancer physicians, surgeons, nurses, general practitioners, allied health professionals, patients and wider society may all have roles within the sphere of survivorship in addressing iatrogenic symptoms and optimally treating and rehabilitating patients after interventions. 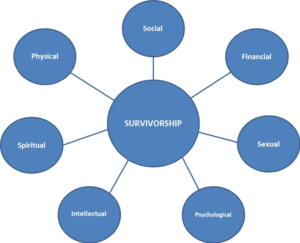 We have established a cancer survivorship model and philosophy of care over two decades, focused on a multidisciplinary rehabilitative approach, and have measured outcomes in survivorship patients. In our experience, these patients are affected by global physical symptoms including fatigue, as well as a variety of tumour-specific symptoms, and psychological and social factors. We address losses experienced by patients, which include physical losses (muscle mass ‘‘deconditioning’, change in body image, fertility, libido) psychological losses (confidence, autonomy, purpose, faith, control) and social losses (income, role), by adopting a multidisciplinary team approach. We propose that as this cohort’s symptomatology is likely to span multiple domains (see figure below), care should be multidisciplinary and coordinated. Physical symptoms are often prioritised by physicians, but psychological ones can be equally important and debilitating. Fear of death or disease recurrence are common, with some patients manifesting symptoms and signs suggestive of Post-Traumatic Stress Disorder (PTSD). Socially, patients may describe feelings of isolation; spiritually or existentially they can be troubled by questions about their role and future. Financially, many are impacted by loss of income, with key issues around return to work. Intellectually and cognitively, memory and concentration may be affected. Therefore, in homage to Cicely Saunders’ model of “total pain,” we propose a similar philosophical approach for addressing the complexities of cancer survivorship. We do not offer a didactic formula for managing cancer survivorship, but propose a goal-orientated, multi-domain philosophy of rehabilitative care. The precise membership of the team is variable and locally determined. Additionally, we offer the notion that “prehabilitation,” delivered in conjunction with physiotherapists and occupational therapists, may optimise patient function physically and psychologically prior to further oncological treatment. As the face of healthcare adapts to changing paradigms, we need to be more inclusive within palliative care. 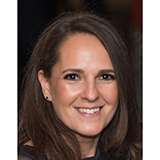 Faye Gishen is a consultant in palliative medicine and Associate Head of the MBBS at UCL. 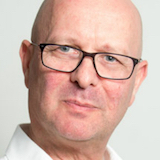 Adrian Tookman is a consultant in palliative medicine and clinical director of Marie Curie.